Together with invigorating top notes, a layered impression is created: one of energy and bliss, sensuality and serenity. 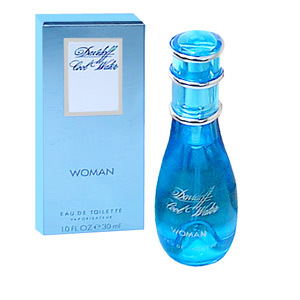 Cool Water Woman is a scent as refreshing as water itself. It is presented in a translucent blue bottle, elegantly designed to reflect a droplet of water.